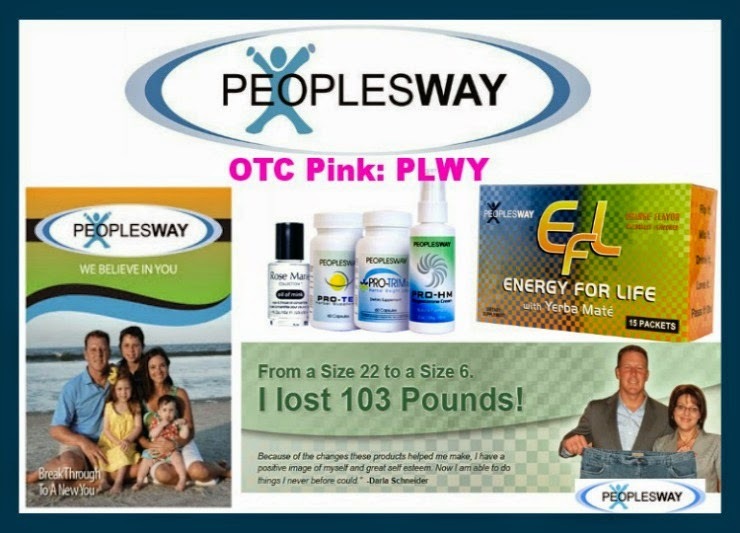 Peoplesway.com Inc. (OTC: PLWY) is on its way to becoming one of the most talked about names among penny stock investors! Aside from receiving a “STRONG BUY” indicator by www.barchart.com on Friday March 8, 2019, our team of experts have identified technical indicators pointing to an oversold market and that is where money can be made. Yes Folks PLWY has been significantly shorted! One prime example is on February 22, 2019 all 1,248,393 shares that traded that day were shorted, 100% short interest and on Friday March 8th, 85%. Most experts would agree that trading the short squeeze ideally starts with picking stocks that are 30% or more on the short interest. The short interest on PLWY is constantly greater than 40%. Due to the high short interest and an 80% strong buy recommendation, our experts have set for Peoplesway.com (OTC: PLWY) a short term price target of $0.25 and long term target of $0.50. When the short sellers are trapped and forced to cover PLWY can easy be a $1+ stock! On Friday PLWY closed at $0.011, a $1,000 investment would give you about 90,900 shares, those shares at our long term target of $0.50 would be valued at $45,450! PLWY: FRANCHISE OPPORTUNITIES AVAILABLE! BECOME YOUR OWN CBD CONSULTANT! CBD ENERGY.. GET THE LIFE! By signing up as a Business Builder with Peoplesway, you can be part of this wellness revolution. The time is right, the stage is set and opportunity is knocking. Join in and live the dream. Peoplesway has clientele, huge distribution network, over 35 years of marketing experience! Talk about perfect fit! This is a huge market! And Peoplesway could be huge with CBD component addition! !